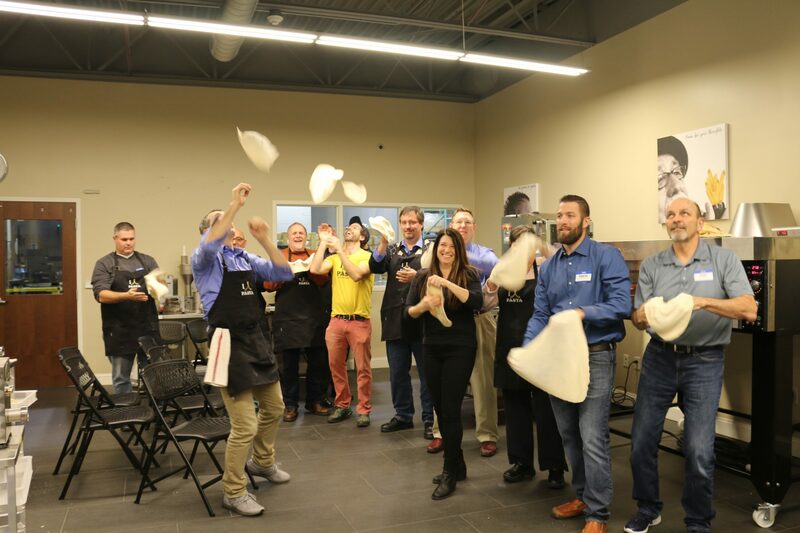 This week we are joined by 4 of our Sale Reps for hands-on training: ASM Market First, Food Equipment Rep Services (FER), Food Equipment Sales & Marketing Agents (FESMA) and YES Reps. After a morning of Pasta Extrusion, we dove deeper into the pizza side of things. Antonio demonstrated the MDR700 Dough Divider and Rounder and how truly cost effective it is. The perfectly round balls of dough turn pizza making into an efficient assembly line when paired with the APS180 Pizza Sheeter. The dough ball pops out of the rounder, and after a quick dip in the flour and a pass through the sheeter, you are ready to slap on the toppings and scoot into the oven! OH did I mention our pizza oven cooks this baby in 3 minutes?! Yes, 3 minutes until heaven. Talk about labor reduction and product consistency! 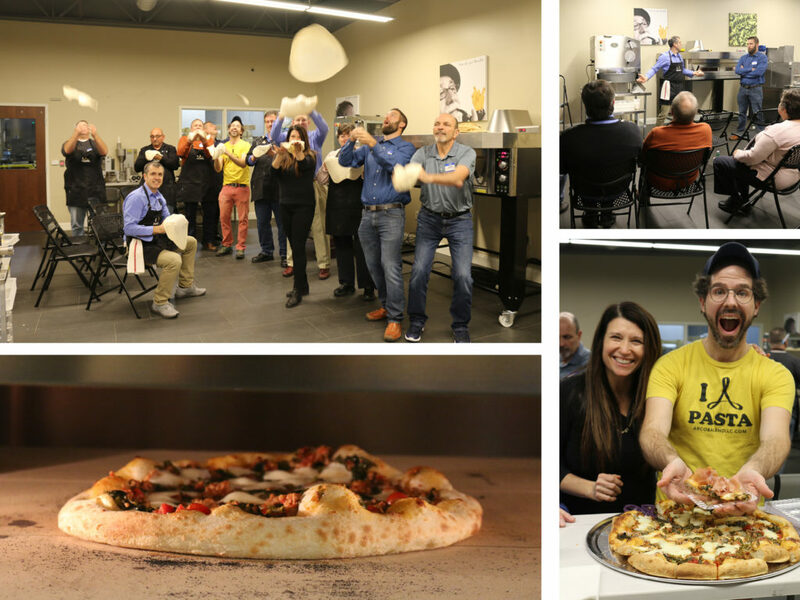 Be sure to check out our whole line of Pizza Equipment to help streamline your pizza production!